Photo by Art Smith The long walkway from the front door to Seventh Street will be restored. 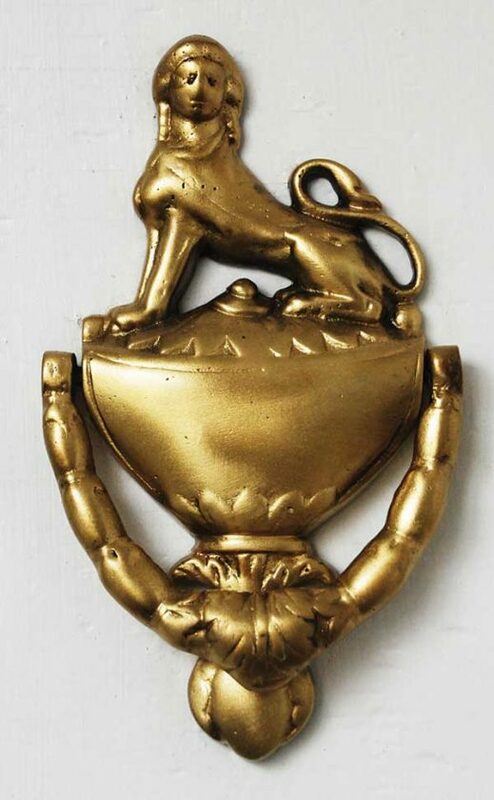 Photo by Art Smith One of many animal-themed door knockers at the home. 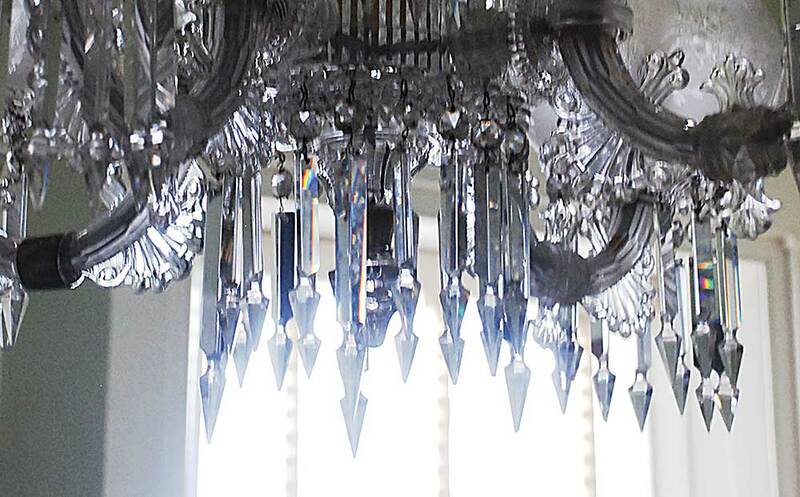 Photo by Art Smith The chandelier in the dining room. Photo by Art Smith The grand staircase in the middle of the home. 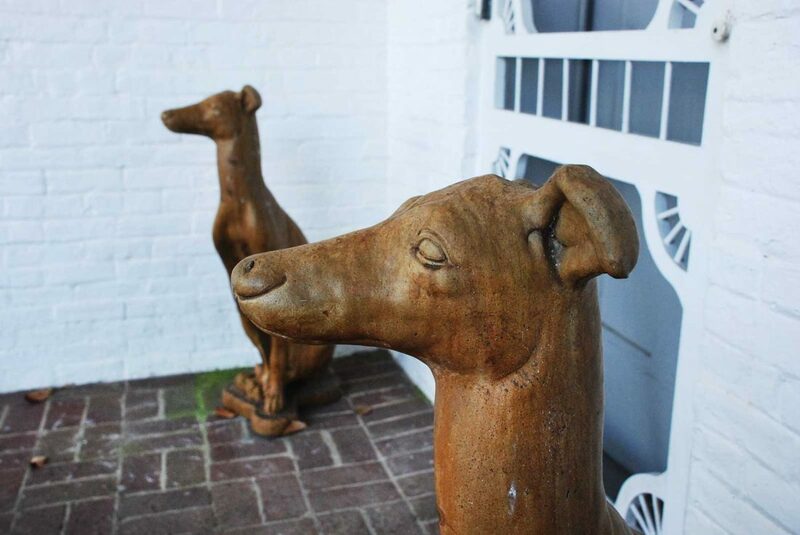 Photo by Art Smith A pair of “dogs” guards one of the doors of the house. 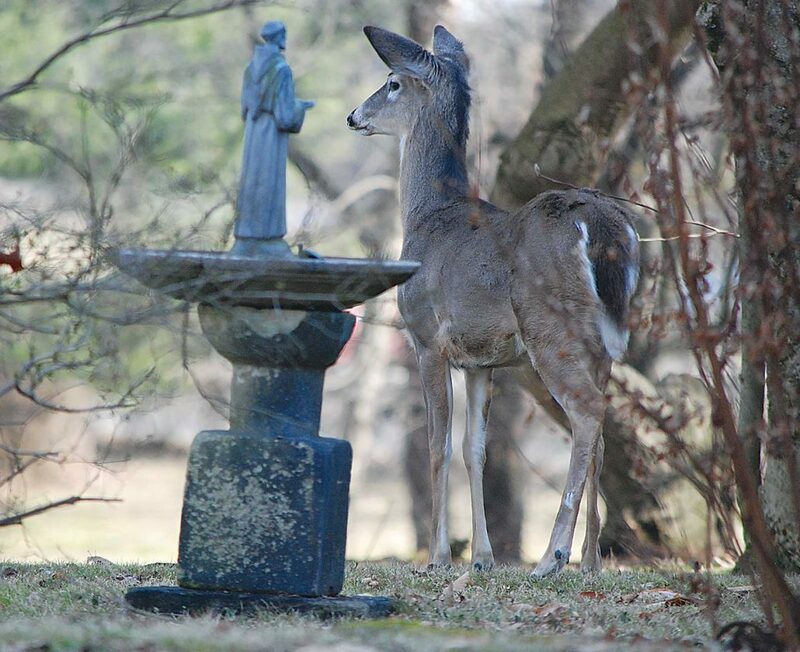 Photo by Art Smith A deer stands next to a bird bath featuring St. Francis of Assisi. The 5.7 acres is popular with a variety of wildlife. 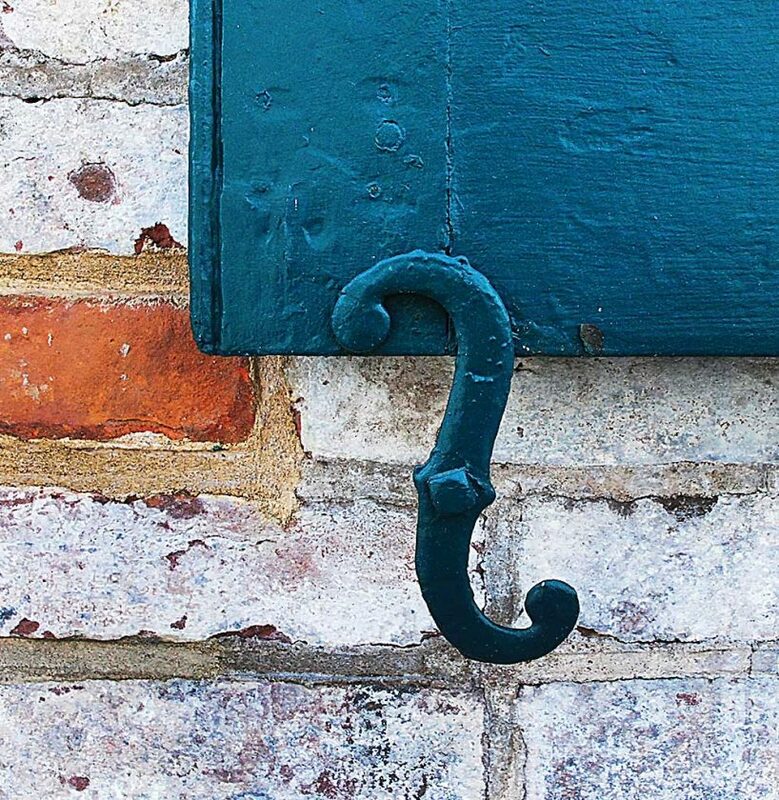 Photo by Art Smith A bracket holds one of the shutters on a window. Photo by Art Smith Many old growth trees remain on the property. 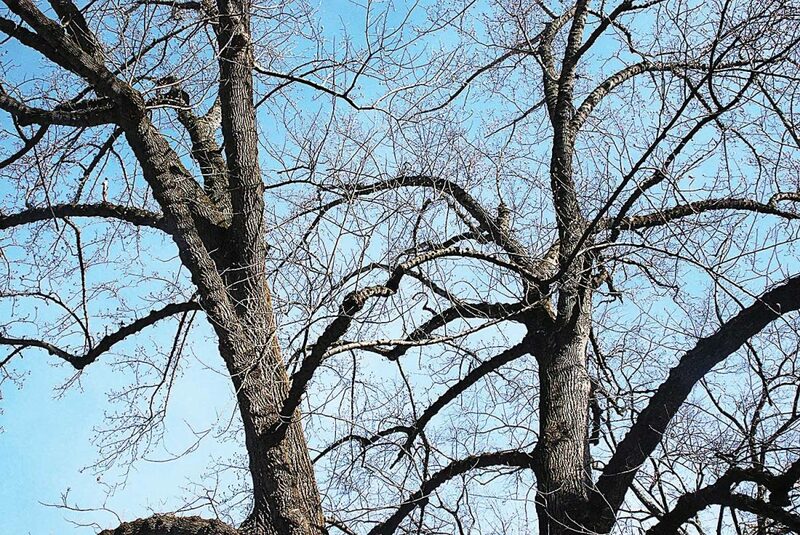 The estate was named for the oak trees that were on the land. Photo by Art Smith The corner of an upstairs porch of the home. PARKERSBURG — In the center of a commercial and industrial area sits one of the area’s finest architectural jewels. 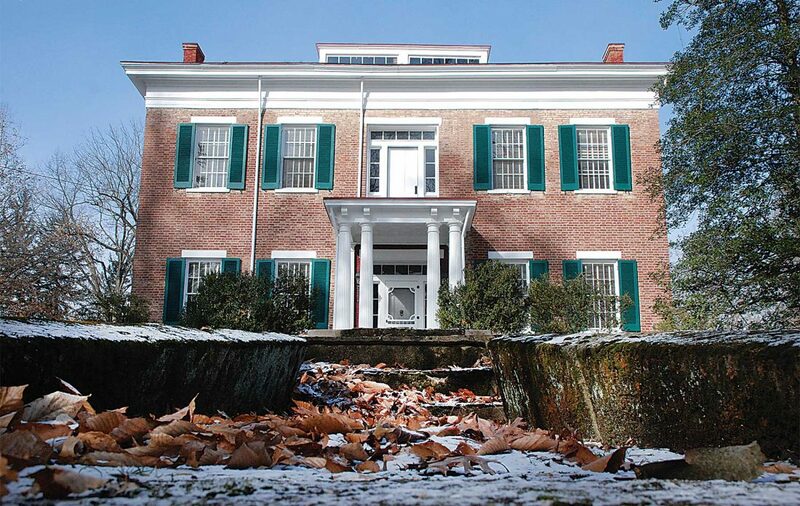 The Oakland, built in 1832, is a gleaming example of Greek revival construction. James McNeil Stephenson built the antebellum mansion, which would stay in his family for 183 years. Stephenson was an investor in turnpikes and railroads, the Staunton-Parkersburg Pike began its journey east from a spot just across Seventh Street from the house at 1131 Seventh St. The house was built on a grand scale. The walls on the front of the home are five bricks thick. The 12 rooms inside have soaring ceilings with the second floor rooms rising 16 feet and the first floor 14. The home was named Oakland after the trees that covered the estate, some of which were used to build furniture that remains in the home. 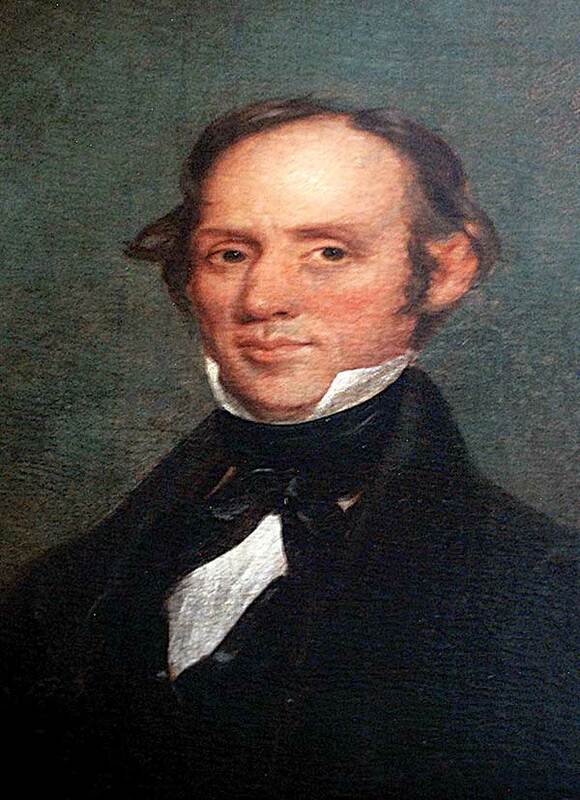 The house stayed in Stephenson’s family until 2015 when his great-great grandson John Lutz and his wife Pamela Lutz gifted the home to the WVU at Parkersburg Foundation. “Parkersburg has a long, rich history and has been a great place to live for my family since the 1790s,” said Lutz after the donation. I am happy to give something back to the community. “It has been here for 183 years. West Virginia University at Parkersburg and its foundation will be a good steward of the property and will make use of it that will benefit both the school and the community,” Lutz said. 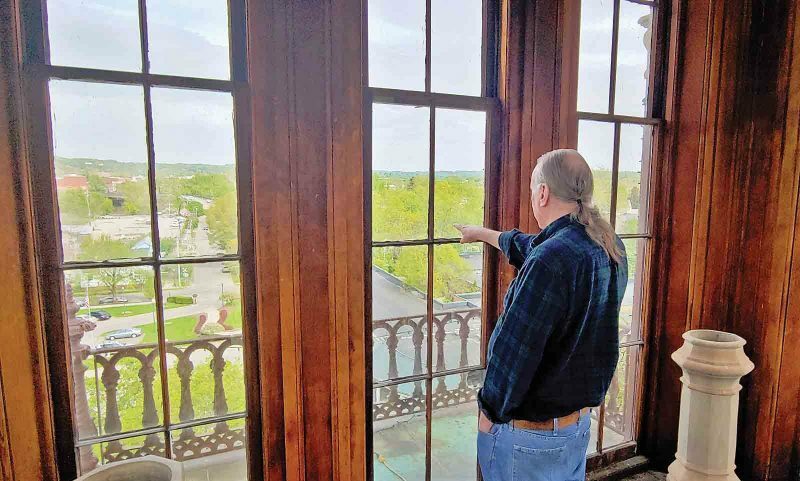 “After the beautiful and meticulous restoration the WVU Parkersburg Foundation undertook of the historic mansion Oakland, the university hopes this will be the year when we bring this resource fully into service of the community outreach, teaching, and research missions of the university. We opened it at Christmas very successfully, and there is such community interest in the property. 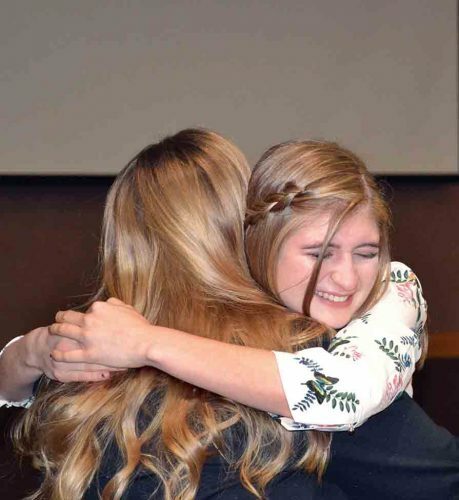 It has the potential to be a wonderful resource and a tool of good will from the Foundation and university to the communities we serve, totally in keeping with the generous donation of the Lutz family,” said college president Chris Gilmer last week. 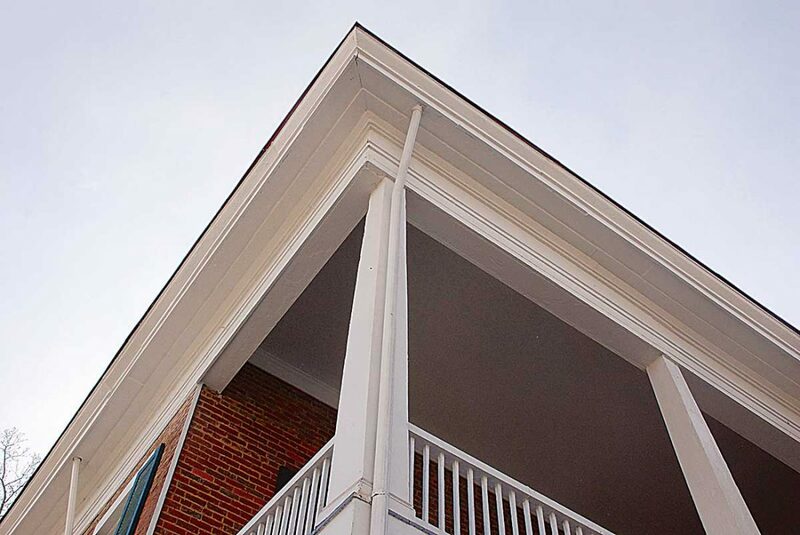 The college spent two years restoring the home and plans to use it to enhance academic programs, create an alumni center and be a focal point for college functions. Students from the college have done much of the work on the home. * Original size of plantation: 1,000 acres. Many of the streets in the area are named after Stephenson family members. * Overall dimensions of the house: 50-by-75 feet. The house is 32 feet from the ground to the top of the eaves.